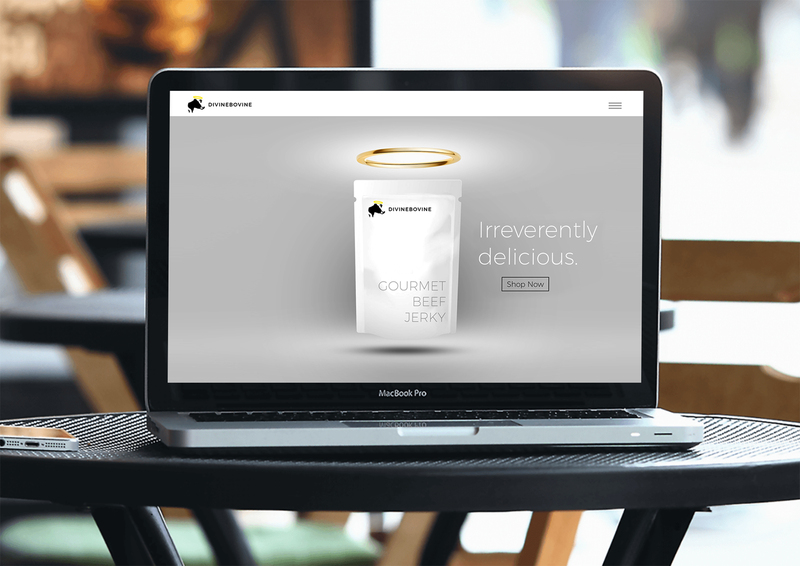 Divine Bovine was looking to breathe new life into their brand image through an exciting new message and position their brand at the forefront of the consumer mindset. Ashcraft Design was careful to take what we learned about where the brand has come from, where they’d like the brand to go, and how the new brand image will impact consumer behavior. 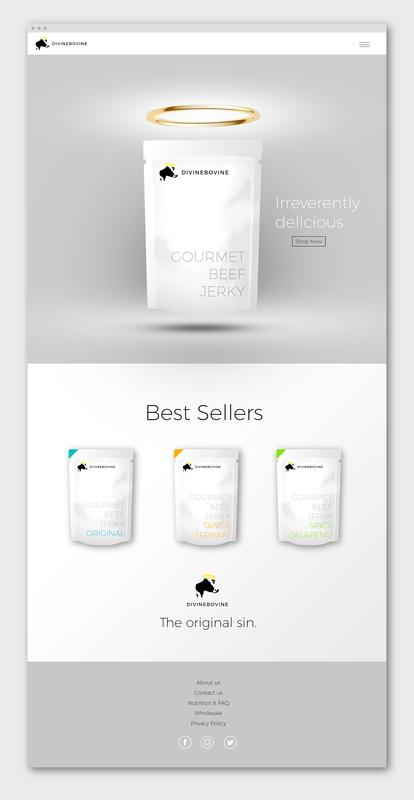 From this insight, he developed a new brand image that drove home their unique blend of jerky flavor and tenderness and broke through the clutter of a crowded category. Everything from their messaging, logo, packaging, and website had to be rebranded to maintain a consistent brand image across all consumer touchpoints. 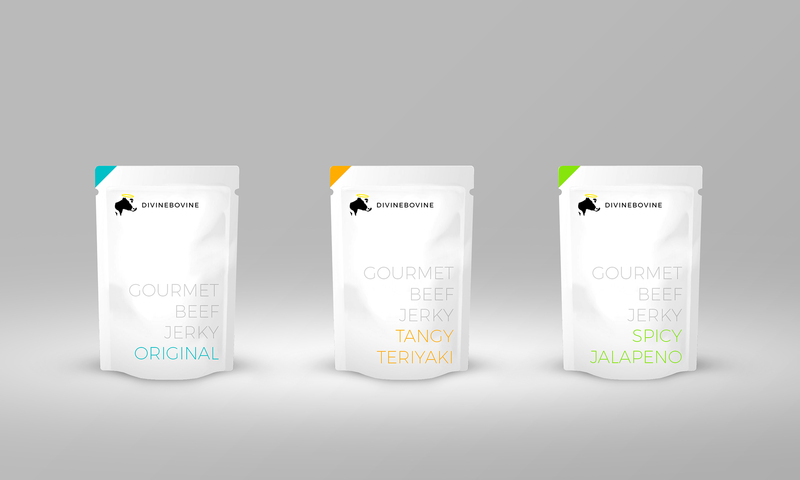 Research proved that there was a niche in the market for a more upscale approach to jerky with a more simple refined sense of taste and aesthetic. To reinforce the unique blends of flavor and tenderness, Ashcraft Design chose to go with a more simple aesthetic to allow the flavor and brand stand out in a sea of confusion and dark muted packaging. Tasteful play on the divine theme allowed Divine Bovine to toe the line between playful and sophisticated without coming across too childish or gimicky.